Firstly, let’s learn a three-chord and catchy folk tune with this Worried Man Blues ukulele tutorial complete with lyrics plus chords and tabs on screen! 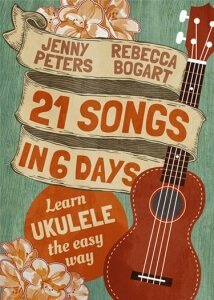 Worried Man Blues is one of the songs in our newest book 21 Easy Ukulele Folk Songs. So don’t forget to get a copy when it’s out on February 4th. Indeed, Worried Man Blues is an easy ukulele song as you’ll need just three simple chords to play it. The chords are C, F and G7. For the string and strum version, you can do a D-DU-D-DU (D-down, U-up) pattern as shown by Jenny in the video. Also, for those that love to play melody tabs, Jenny plays the chord melody at the end of the video. So don’t miss that part. By the way, join us on Facebook for a live lesson on Worried Man Blues ukulele tutorial. In case you’re not able to join the Facebook Live session for this song, just find the recording on the videos section. Moreover, subscribe here to get email notifications of our new videos that get released each week. In particular, the notifications include downloadable sheet music with lyrics, chords and tabs that are very useful when learning the ukulele. One feature of most folk songs is that their composers are unknown or unrecorded. Certainly, Worried Man Blues is no different. While A.P. Carter, his wife Sara and sister-in-law Maybelle, collectively known as the Carter Family, first recorded the song in 1930, the writer of the song is not known. Accordingly, A. P. Carter used to travel throughout the United States collecting old songs and Worried Man Blues might be one of the songs he picked up from these travels. Another common feature with folk songs is that they have different versions of lyrics. 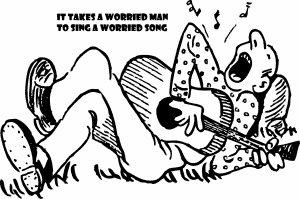 Many other musicians have recorded Worried Man Blues after the Carter Family and most of them have different lyrics. For instance, Woody Guthrie recorded the song in 1940 with lyrics that underscored the number 21. While the lyrics from the Carter Family’s recording described shackles with “29 links of chain” and a train which was “16 coaches long,” Guthrie changed those numbers to 21. Moreover, Guthrie started with the verse instead of the chorus and he also added some new verses at the end of the song. Here are other performers from various genres that have recorded Worried Man Blues: Pete Seeger, Cisco Houston, Ramblin’ Jack Elliot, Kingston Trio, June Carter with Johnny Cash, The Stanley Brothers, George Jones, Osborne Brothers, Van Morrison and Devo. One notable difference with modern versions of the song is that the singers repeat the line of the verses three times. Similarly, Jenny repeats the line three times in the video tutorial. Whereas in the earlier versions, such as those of the Carter Family and Guthrie, they repeated the lines just twice. You get much more than a book of songs. You’ll learn how to play them with complete instruction in the book. Free online videos included with your purchase. No matter what your learning style, you get to read, listen and watch. This ensures the fastest, easiest learning experience possible. It’s hard to mess this up. You’ll learn the easiest songs first. You’ll feel your confidence growing and your skills developing in minutes. Learn directly from a Grammy award nominated music teacher and a former Harvard master class piano teacher.